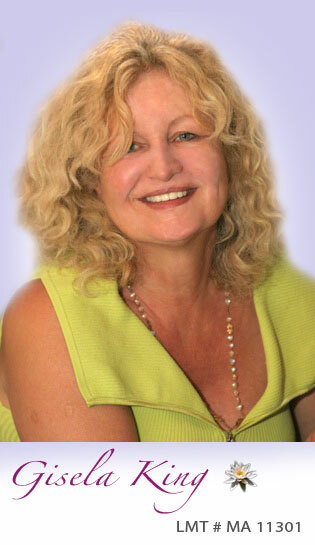 In the past 20 years my experience and interest in the arts of holistic healing have led me to understand and create a treatment that encompasses an exciting array of vibrational therapies for your body and senses. The therapeutic massage training that I received in Europe, India, Thailand, and the U.S. created a broad knowledge of healing touch that you can deeply feel and enjoy. Many years of learning and teaching Aroma Therapy in the U.S. and abroad enable me to apply the most beneficial essential oils in your facial rejuvenation and full body treatments. My ongoing training in Color Light Therapy allows me to offer a delightful energy balancing treatment that not only gives you a sense of well-being, but also helps you better understand the uniqueness of self. "Gentle, sensitive and insightful are the words that come to mind to describe the wonderful massage experience I enjoyed with you Gisela. Thank you!"